Exercise is a great bulletin board topic for the warming temperatures. If spring has already sprung in your area you can always use the “Get your MOVE on!” board with the same info. This topic of course could be expanded with lots more exercise ideas or post-workout food tips. I kept it simple for a quick pin-up though. 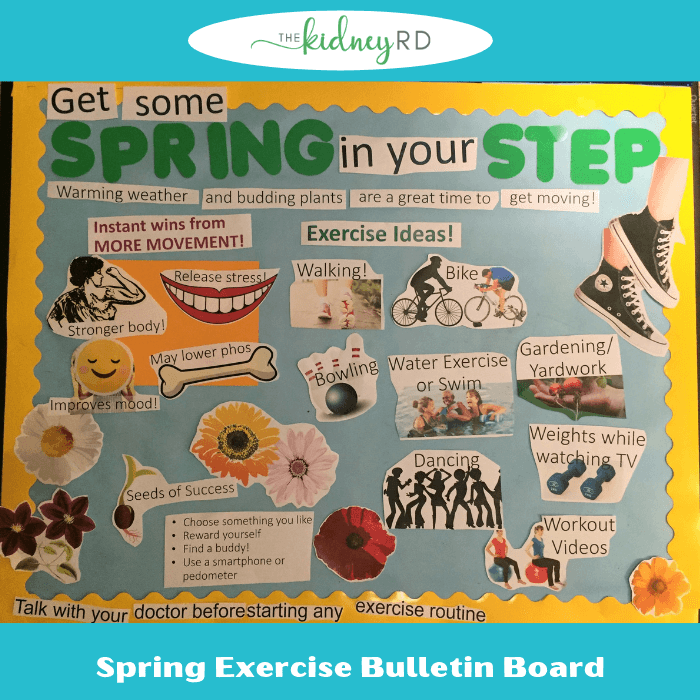 If you’re a member of the renal education library you can download the board by visiting the library or you can also download the board(s) from RD2RD by using this exercise bulletin board link.